Certified nursing assistants and patient care technicians are the important members of the healthcare industry. Both may work in same settings, but carry out different responsibilities. Students, who are planning to become a nurse aide, must not get confused of both the professions. They should have a clear understanding of the difference between both the careers. Here is the difference between a CNA and a PCT. CNA- A nursing assistant must hold a GED or high school diploma. A CNA certificate is also a compulsory requirement. PCT- For becoming a patient care technician, a candidate must have a nurse aide licensure. In some cases, phlebotomy certificate or Cardiopulmonary Resuscitation (CPR) certificate is also required. CNA- The length of CNA training courses is four to six weeks. PCT- The training programs of patient care technicians gets complete in twenty to twenty-four weeks. CNA- No previous work experience is necessary to become a certified nursing assistant. PCT- Some healthcare facilities require PCTs to have some work experience as a nurse aide, phlebotomist or ECG technician. CNA- They can only provide basic care to the patients. These professionals can’t perform the duties of a patient care technician. PCT- They are authorized to provide basic medical treatment to the patients. They can also accomplish the duties of a nurse aide. CNA- They perform several types of duties, like answering the call signals; measuring and recording the liquid and food intake of the patient; helping the clients in turning, moving, exercising and moving; monitoring the vital parameters (such as, height, weight, temperature, etc. ), etc. PCT- The duties of a patient care technician involve drawing blood, EKG reading, checking nutritional value of the patient’s diet, escorting patients to treatment areas, helping clients in motion exercise, administering IV’s, collecting specimens for diagnostic test, performing basic laboratory work, etc. 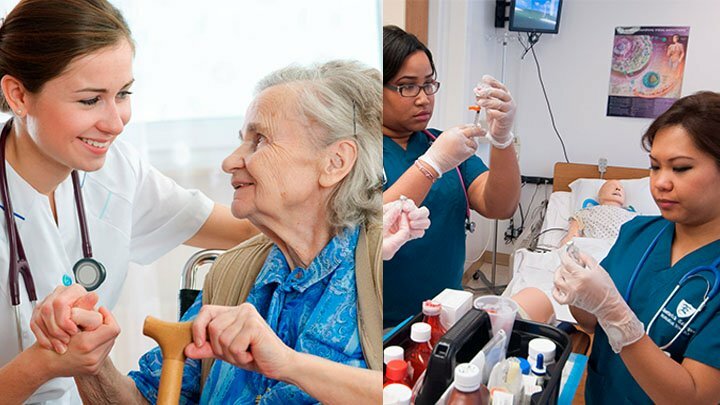 CNA- They may work in long-term health care centers, rehabilitation centers, nursing homes, residential care facilities, hospitals, day care centers, hospice, etc. PCT- Apart from various medical settings, they may get jobs in blood banks, cancer clinics and dialysis clinics. CNA- According to indeed.com, the mean yearly salary of these professionals is $25,000. PCT- The average income of PCTs, as per information of indeed.com, is $38,000 per annum.